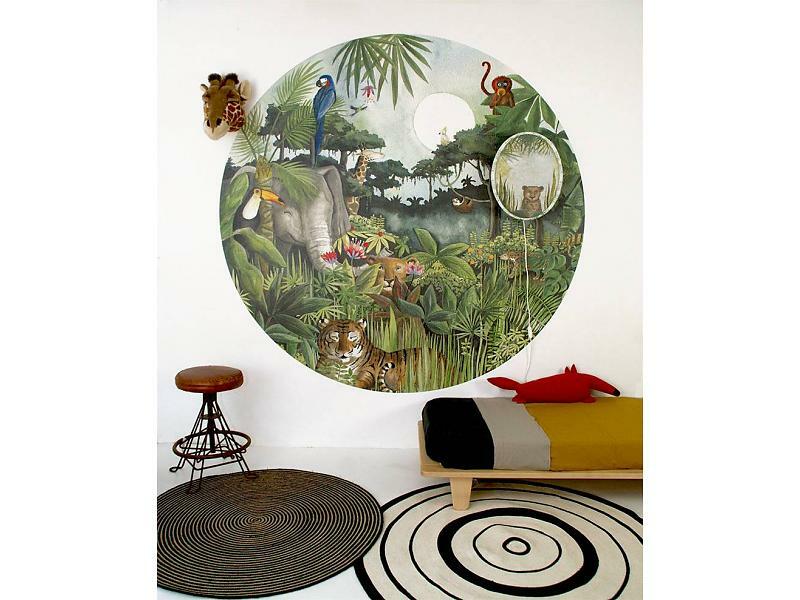 This image by @ramy.mo_ is a perfect example that with a circular wallpaper and a Jungle lamp in the room you can easily style the desired jungle theme kids room. To complete the look we also have the new Lion Sleeps wall lamp in our collection. All three products are there to feed and inspire the imagination of your kids. During the day the lamps have a lovely pattern. As it gets darker and you switch on the light the jungle comes to life as the jungle animals and countless stars appear. Hartendief products are designed to create a loving bed time ritual for you and your child. You can tell endless stories while you switch on the light together and talk about the animals that appear. You can find our Jungle themed collection here.